Looking to improve upon its already market-leading capability in aluminium and magnesium casting for the aerospace and defence industries, London-based Stone Foundries needed to maximise the efficiency of its design and production facilities in order to remain competitive in the world-wide specialist engineering field. Tolerance accuracy within the manufacture of high-integrity aerospace castings is critical where weight is a major design factor, both structurally and for fuel efficiency. Critical to the accurate manufacture of castings in the ‘right first time, right every time’ ethos is the ability to measure and analyse parts during the entire manufacturing operation, such that every single product conforms precisely to the design specifications to ensure it is fit for purpose, thus eliminating wastage of both time and materials. To this end, Stone Foundries worked with the measurement experts from the National Physical Laboratory (the UK’s pre-eminent body for scientific measurement at every level) through the Sharing in Growth Programme. The Product Verification team identified areas for improvement throughout the design and casting process through the use of advanced measurement and inspection. 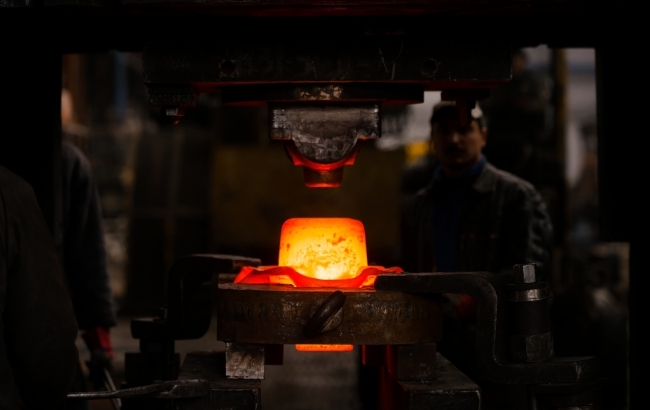 NPL’s expertise in laser scanning measurement and casting modelling and simulation greatly increased Stone Foundries’ confidence in the use of casting modelling process data. Having identified areas for improvement, and thus potential cost savings, Stone Foundries felt more confident to go after additional business that would benefit from the expert knowledge gained from the NPL team. But the outlook for the south-east London engineering firm gets even rosier. Not only has Stone Foundries won a multi-million-pound contract off the back of the expert input from the NPL Product Verification Team, it has also identified quality cost saving opportunities across the business as well. Stone Foundries’ Managing Director John Townsend, said: “The market is tough, but we are now winning on innovation, speed, quality and efficiency, and this will help the company fulfil the growth ambitions set out when we joined the Sharing in Growth programme in 2013.